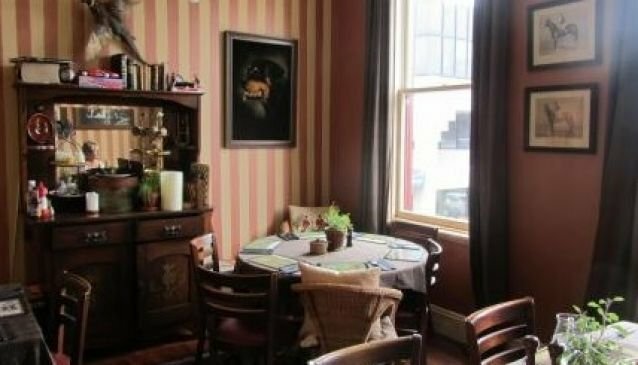 Located in Wellington's vibrant Cuba Street, Arthur's offers hearty meals in a homely relaxed environment. The restaurant offers everything from light meals to a full roast dinner and the drinks list is extensive including New Zealand brewed beers, coffee and a wide choice of tea. Arthur's is housed in a renovated Edwardian building and occupies two levels as well as boasting an outside courtyard. In colder weather, guests who wish to sit outside are provided with blankets and hot water bottles and there are board games to keep visitors entertained during dinner. The restaurant accepts bookings for larger groups and private functions.